Sudden spikes will cost you money! Get help from these surge protectors that will limit the voltage that is supplied to an electric device by either shorting or blocking to ground any unwanted voltages above a safe threshold. They can also reduce your carbon footprint as they allow you shut off multiple devices at the touch of a single switch. They provide adequate protection to your devices! This surge protector is ideal for video and audio equipment with its static noise filtering technology. It minimizes the possibility of speakers crackling or screen distortion. It has 6 outlets that are block-spaced for larger adapters. The cord measures 8 inches with 180-degree rotation and right-angle plug. Plus, you will have a peace of mind with its lifetime warranty! 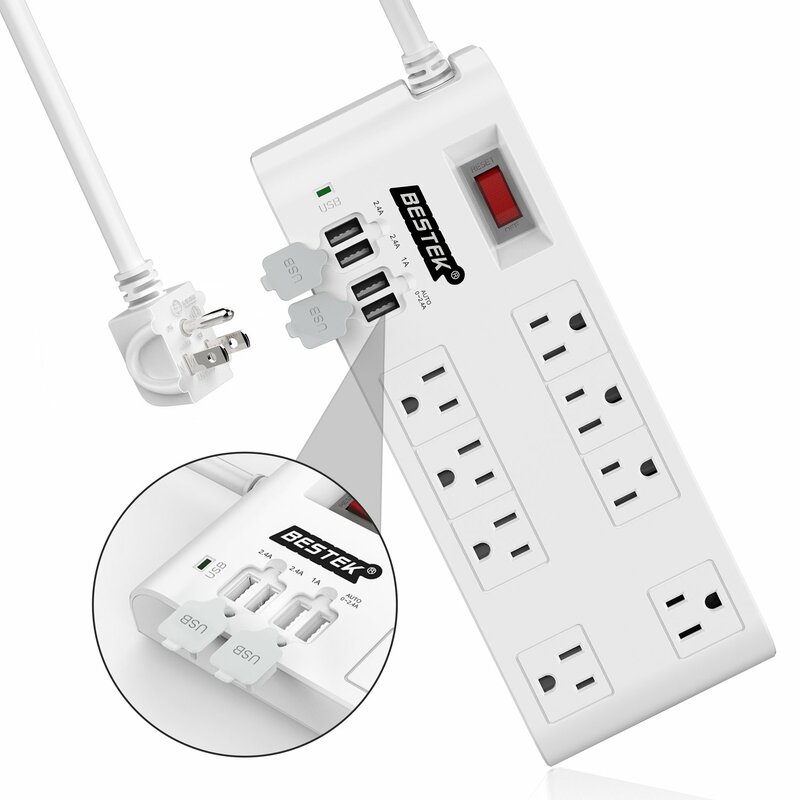 This surge protector has four high-powered USB ports, six standard outlets, and two adapter block outlets for plugging in devices simultaneously without overcrowding. It has an illuminated on-off switch so you can see it when lights are off. Its cord measure 6 feet that is ideal for home or office use. It has mounting holes to easily secure the surge protector to walls, baseboards, or furniture. Plus, it has 18 months of warranty! 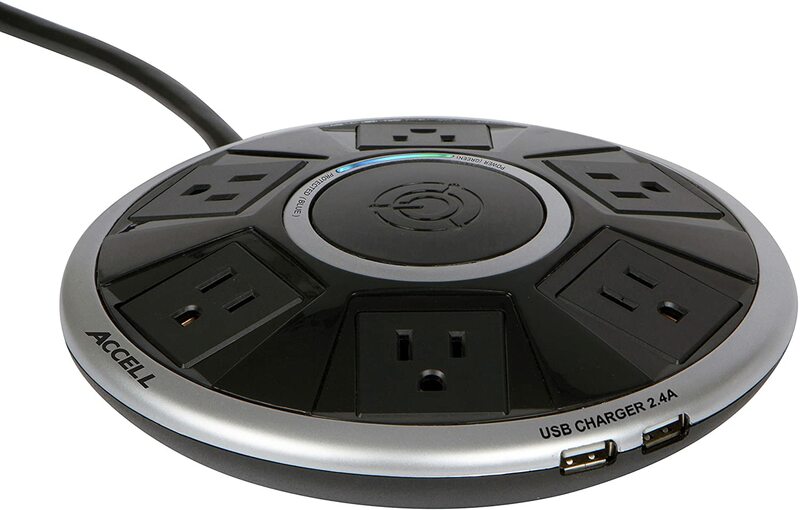 This surge protector is portable without a cord and protects just one outlet. This is perfect for travelers that bring laptop with them. It cuts off power when protection wears out. It has two diagnostic LEDs for grounded and protected, enabling you to recognize power problems before they affect your valuable equipment. Plus, it has a lifetime warranty that covers any connected equipment damaged! This surge protector can safely shut down power once its protection is disbursed. Its design is ideal for end tables or nightstands. It has two USB outlets so you can charge your phone or tablet without needing a power adapter at all. The six outlets are spaced in such a way that you could comfortably plug power bricks into all of them at once. A perfect bed-side body! 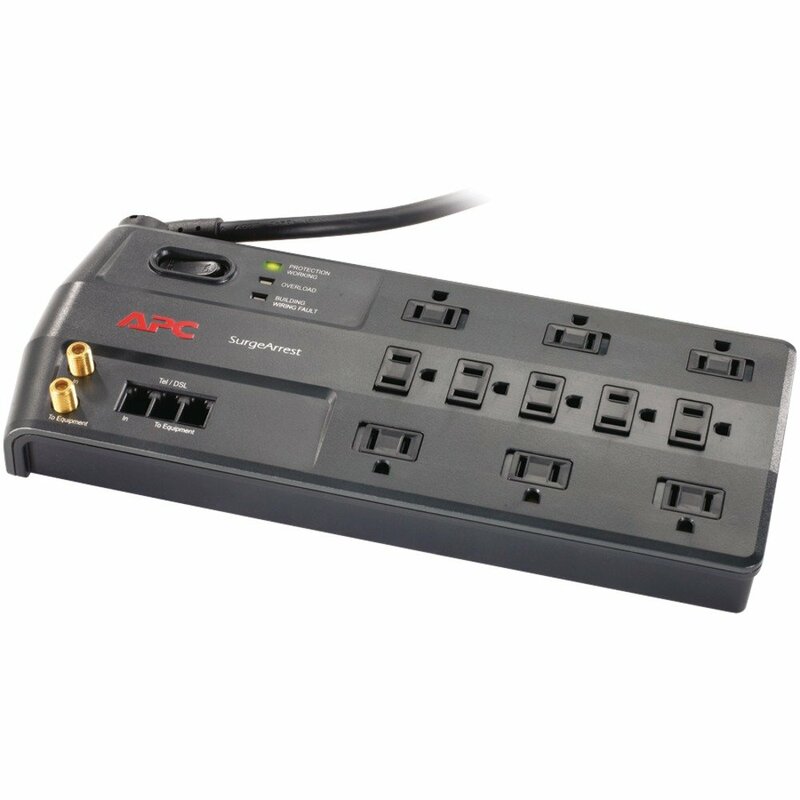 This surge protector 8 outlets with a linear filter that reduces AC line noise and contamination resulting in improved audio and video clarity. It also features automatic shutdown that guards your valuable equipment against dangerous wiring faults. Its zero ground contamination circuitry assures the delivery of pure AC power thus protecting critical audio/video components. It allows just 40 V of that surge to pass through to the outlets. Plus, you can toggle power switch to reset it. This surge protector offers fantastic protection. 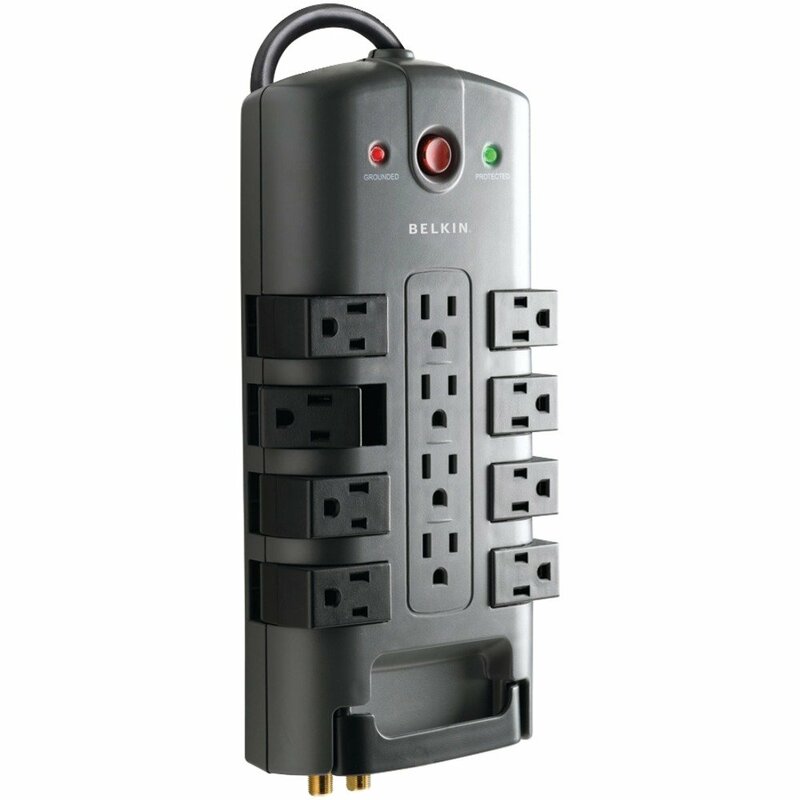 It has 8 tiltable outlets along the sides make it easy to fit plugs of all sizes at all different angles. It can rotate up to 90 degrees away from the top plane of the device. 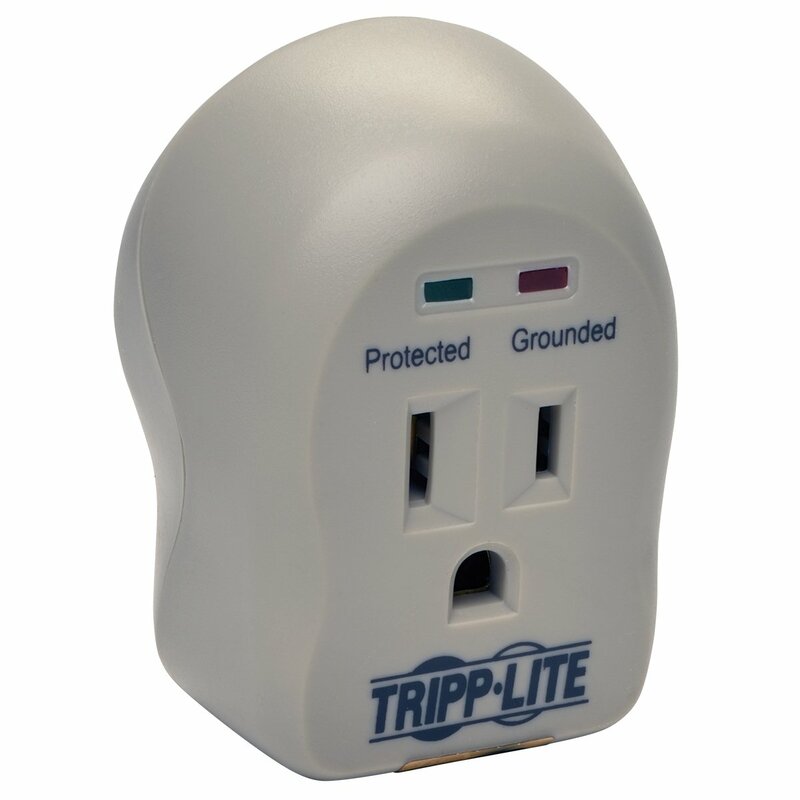 When surge protection wears out, the PivotPlug continues to provide power to your gear, only notifying you when a small LED blinks out. Plus, it has a reasonable price! 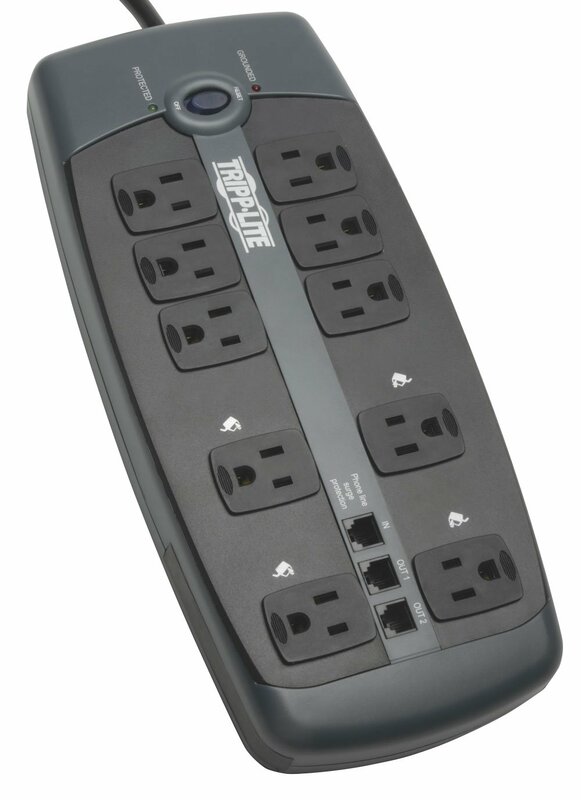 This protector offers well-spaced 10 outlets which are plenty for your devices that put it at the top of our list for the best surge protectors you can buy. It provides power after the protection fails and notify you with nothing more than a small LED light. This protector is rated for 2,395 joules (J), which is about average for a living room or office surge protector. Its cord measure 8 inches that provide the ability to reach distant outlets. Plus, it also has a lifetime warranty!